Information security remains a top priority for most retailers. As Quarter 2 comes to a close this end of June, how can your business make improvements for the second half of the year? One major area many business owners should look at is security. According to the latest data from the 2015 Mid-year Point-of-Sale (POS) Security Health Assessment from the National Retail Federation’s 2015 PROTECT Conference & Expo in Long Beach, California, a majority of organizations are increasing their POS security budgets. 63 percent of organizations have increased their security budgets within the last two years. 94 percent of organizations use anti-virus software on their POS systems but 26 percent don’t believe it as adequate enough protection. 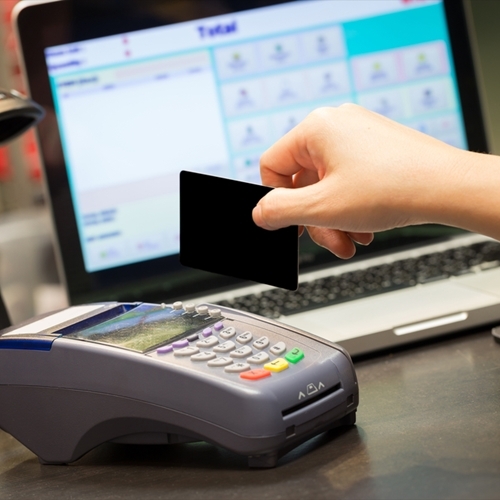 38 percent of organizations have detected malware on their POS systems within the last two years. Only 39 percent of organizations are using breach detection software. What can businesses take away from this latest survey? Security is key for long-lasting customer loyalty, revenue and overall success. “More detection is a good thing. The ability to see what is potentially attacking an organization is a critical first step in an effective security posture. Many organizations, according to the results of our health assessment, do not have that visibility,” said Chris Strand PCIP, senior director of compliance and governance for Bit9 + Carbon Black. One way to ensure security of customer and business information is by using Visual Retail Plus. Our point of sale system capabilities include the latest security updates and features. As new developments are made in the industry, VRP quickly adapts to secure data and create a seamless shopping, tracking and data collection experience. Our PCI compliant system has numerous other benefits which can be found on our website.